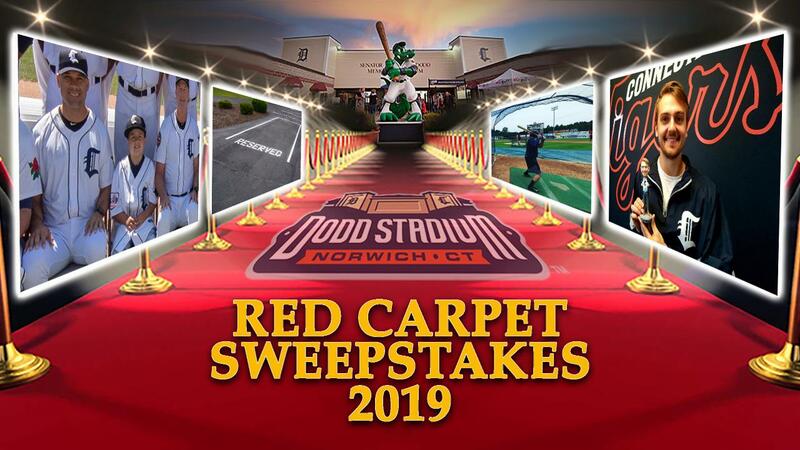 NORWICH, CT- The Connecticut Tigers are excited to announce the return of the "Red Carpet Sweepstakes" promotion! December 10th- One fan wins an exclusive behind the scenes tour and on-field experience for Tigers batting practice prior to a 2019 game! December 11th- One fan will get the opportunity to be in the 2019 CT Tigers team photo! December 12th- One fan wins a personalized and reserved parking space at Dodd Stadium for the 2019 Tigers season! December 13th- One fan wins a customized bobblehead of them or a friend! December 14th- One fan wins one extra 2019 season membership of equal value for free! "In its first year in 2018 "The Club" was a huge success and there's no better way to kick off the countdown to next season than by giving away exclusive experiences and prizes to some of our biggest supporters," said CT Tigers General Manager Dave Schermerhorn. "The members of "The Club" are part of our family at Dodd Stadium and we can't wait to welcome them all back to the ballpark on the red carpet in June". No longer are season tickets just tickets, they are an exclusive membership into "The Club". More information on "The Club" 2019 Season Memberships can be found online at cttigers.com/theclub, by emailing theclub@cttigers.com, or by calling the Tigers at (860) 887-7962. Memberships include more exclusive events, experiences and gifts than ever before! The Connecticut Tigers are the New York-Penn League affiliate of the Detroit Tigers located at Dodd Stadium in Norwich, Connecticut. 2019 season memberships to "The Club" and team merchandise are now on sale! The front office and box office is open daily from 9 am to 5 pm Monday through Friday and can be accessed in person or by calling 860-887-7962.